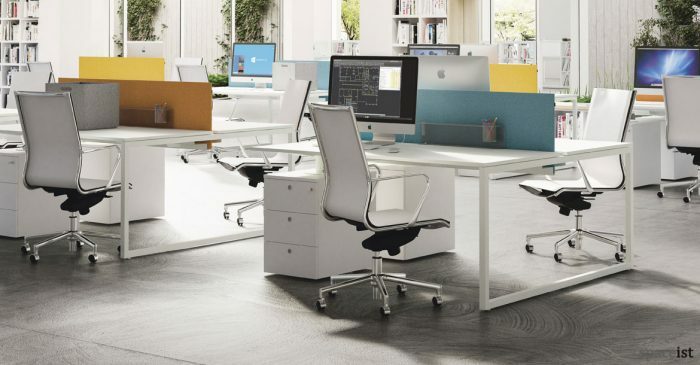 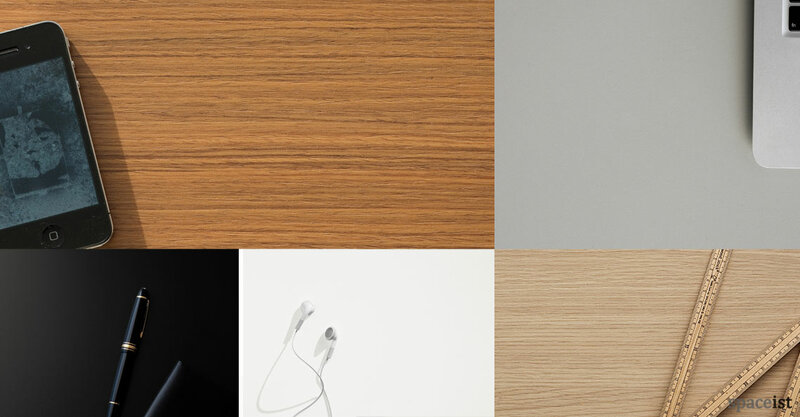 Categories: Office ranges, White storage, Forty5 desk range, Forty5 reception desk range, Office storage, Reception ranges. 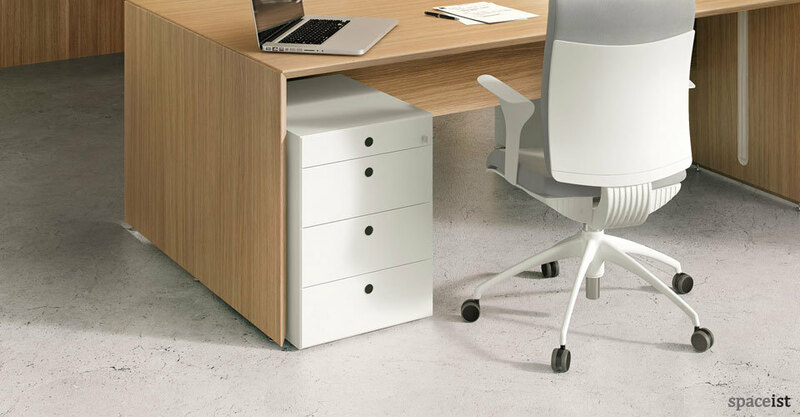 Simple desk pedestal storage to complement the Forty5 desk ranges. 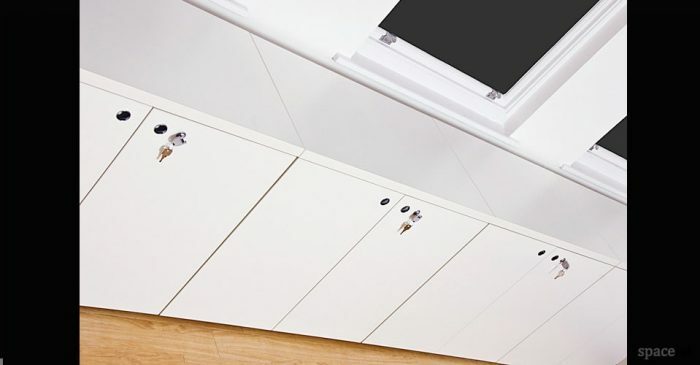 Drawer boxes are lockable and fitted with simultaneous lock and anti–tipping device. 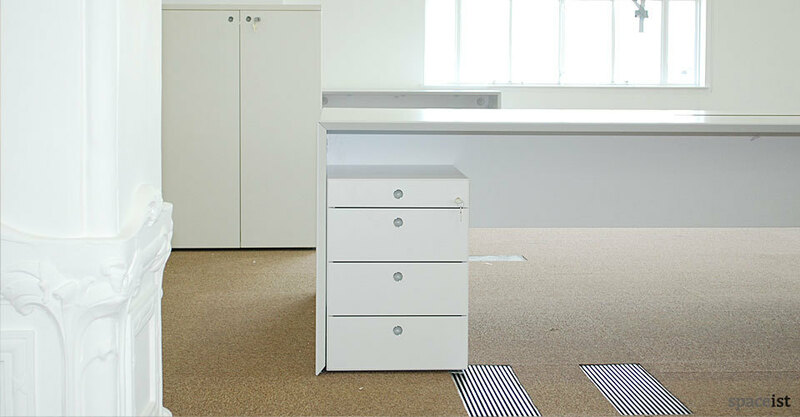 Standard storage is supplied with three drawers plus an internal pencil tray. Castors are concealed or fixed feet can be specified. 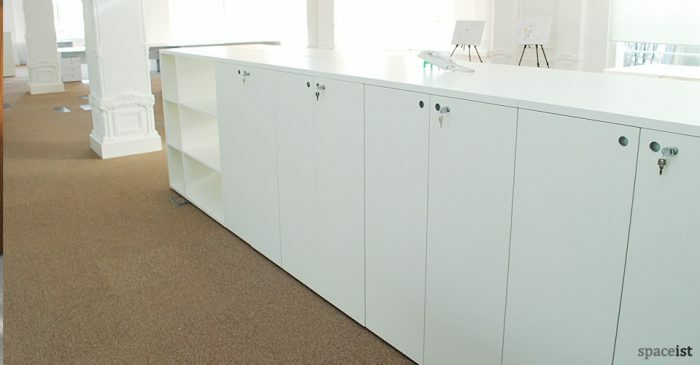 With three drawers or one drawer and hanging file drawer.